Our dinner gatherings are usually on the first Wednesday of each month at the Istanbul Grill, 35840 Chester Rd., Avon, Ohio. This Session they will be on Wednesday, March 13 and April 3, at 8:00 pm (right after the evening class). Learn postures that will bring ease to your neck and shoulders. Deepen your practice by learning intermediate poses and their stages. During the first week of the session (February 25 – 28), all classes are open for a free class to students new to the Yoga Loft. If you are an existing student and bring a friend to a free class, you may also take an additional class at any time during the session, free of charge. Pre-Registration is recommended. If you refer a friend and they sign up for full session, you will receive a $25 discount on your session. 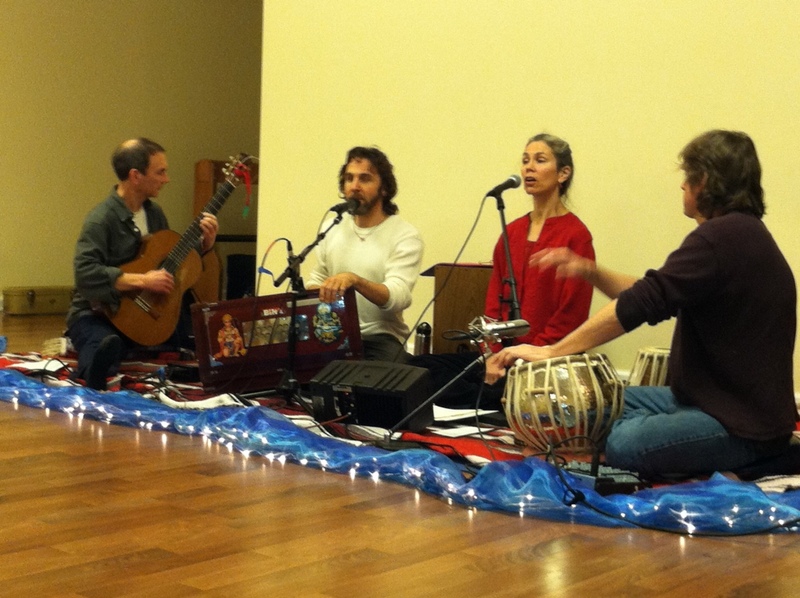 Kirtan is a call-and-response singing of mantras. It is an exchange of energy between people. Simply put, a leader chants the Sanskrit mantras line by line and the group sings them back. The energy builds, and the tempo naturally increases.